This is a beautiful GPO 332L with drawer. 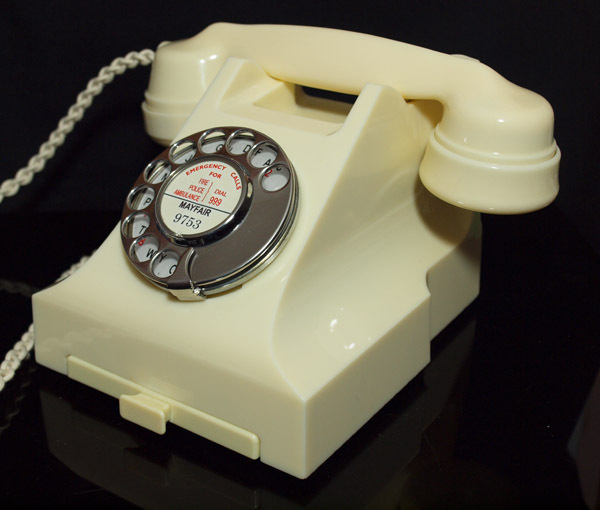 It is in stunning condition and has been stripped down and rebuilt after each part has been cleaned and polished. It is fitted with a best quality all British manufactured hand plaited braided reproduction handset cord. It retains its genuine GPO No12 metal dial with alpha numeric dial face. 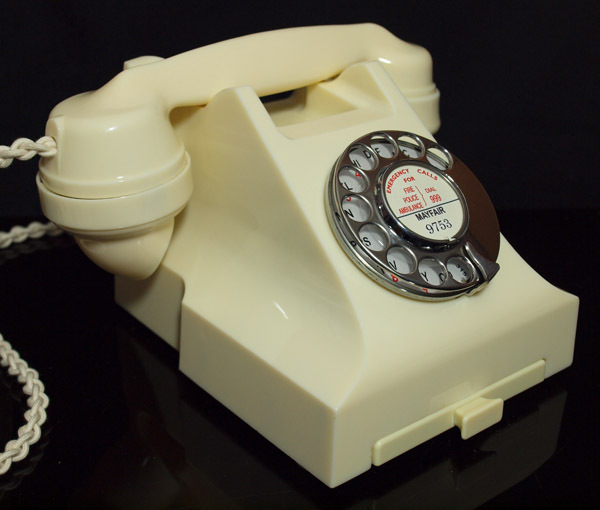 It is fitted with an electronic microphone and a GPO specification round plastic line in with a UK telephone plug socket fitted. This is as good as you will find. 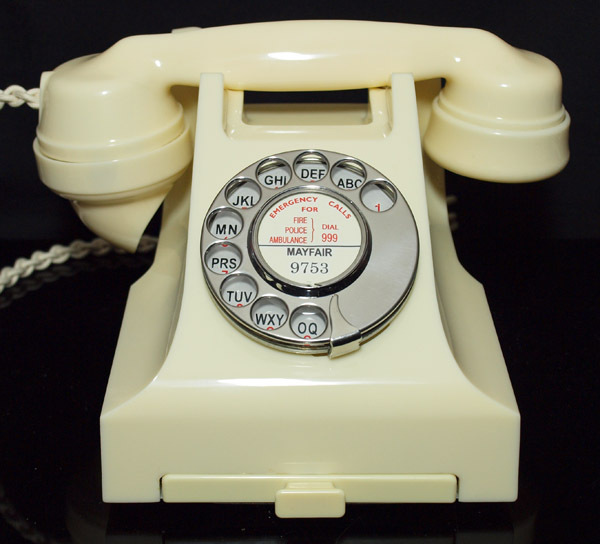 I can make a dial label with you own information at no extra charge. 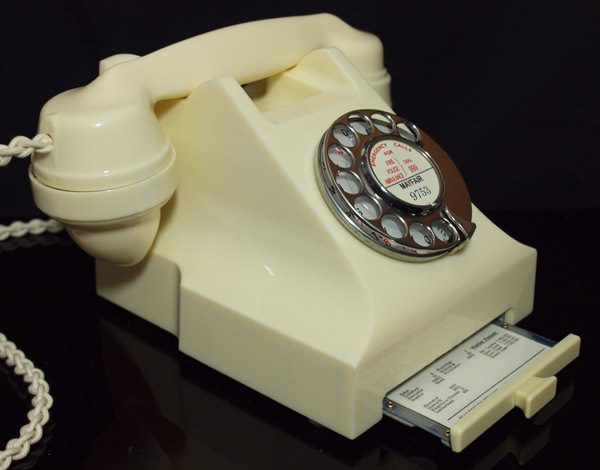 The handset is dated 1956.